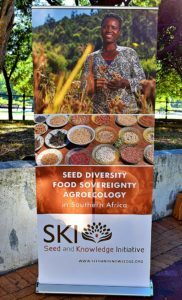 Never Ending Food had the privilege of presenting at the ‘Agroecology for the 21st Century‘ conference held in Cape Town, South Africa on January 28-30. We were able to highlight many of the incredible things that are happening with Permaculture in Malawi and the incredible potential that Permaculture has to bring an end to things like ‘hungry seasons’, malnutrition, and poverty. The conference attracted nearly 200 participants from the region including farmers, academics, advocates, and policy-makers. The sessions covered a wide range of topics, including: Urban agroecology, health, nutrition, farmer’s rights, seed policy, curriculum development, and extension work. Malawi was well-represented with participants from Never Ending Food, Kusamala Institute of Agriculture and Ecology, the Department of Forestry, and academia. 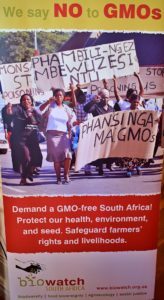 We hope that the inspiring messages from this conference will continue to spread far and wide, helping African countries develop agricultural and social policies which are sustainable, resilient, and healthy! It is disappointing that many of these incredible ideas and practices are still considered to be ‘alternatives’ rather than the accepted standards. If we can get enough people working together, we will eventually reach a tipping-point where the world begins to embrace sustainable solutions. This conference was just the tip of the iceberg, but it was a great step in the right direction. A huge thank you to all the conference organizers, planners, and volunteers who made this a reality!